Spacious, comfortable, premier apartment homes for independent seniors 55+, located right in the heart of Colonie. The Beltrone Living Center, a middle income 55+ housing community, opened its doors in 1999 with 250 apartment homes for independent seniors. 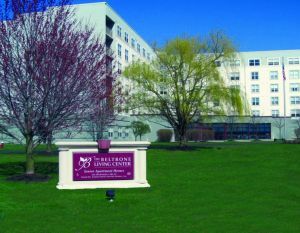 The Beltrone Living Center again maintained 100% occupancy in 2017 and is a truly unique community with numerous amenities. Residents do not have to leave the comfort of the building to get to the Lakeview Restaurant operated by Mazzone Hospitality, the Country Café, the Salon at Beltrone, library, billiards room or Bright Horizons Adult Day Services. In addition, the Town of Colonie’s Senior Resources Department and the administrative offices of CSSC are located in The Beltrone Living Center. This brings together many senior services, all accessible in one place.